Are you ready to take that “First Step” to creating your next chapter? Are you interested in coaching or retreats? Contact me — I’d love to talk with you! 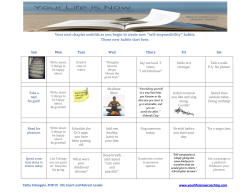 Grab your FREE Self-Care Action Plan! And join the mailing list to receive the latest news and "life tips" from Life Coach Cathy!